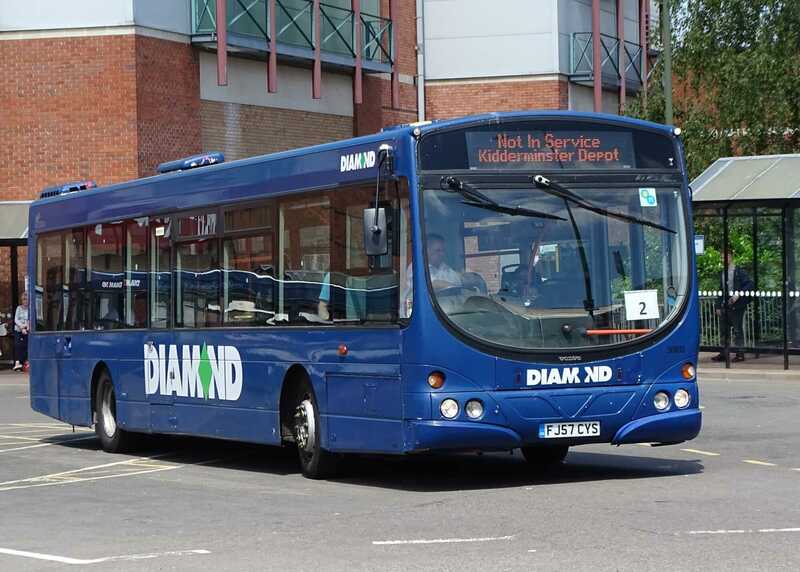 Diamond Bus Ltd has been ordered to pay a total penalty of £9,075 after it failed to meet punctuality standards, following a public inquiry on 21 June 2018. It was found that its compliance level was 91%, and lower in the Kidderminster area, where a small percentage of Diamond’s services operate. The Traffic Commissioner (TC) for the West Midlands, Nicholas Denton, also raised the possibility of compensation to passengers after discussing with the operator how the penalty imposed may be returned to users of the Kidderminster services and users of route 3 in particular. This comes after a public inquiry in October 2014, where Diamond Bus Ltd was fined by the then TC for its failure to operate services according to timetable. Following a large number of complaints continuing to be made by its customers. The DVSA carried out further timetable monitoring exercises and the company was called to another public inquiry on 30 November 2016. At the 2016 inquiry, Diamond Bus Ltd was requesting an increase in authorisation from 228 to 323 vehicles. Because of the progress it had made since the 2014 public inquiry it was allowed half of its requested increase but the other half was made dependent on further sustained improvements in punctuality. DVSA traffic examiner Austin Jones and colleagues carried out the monitoring exercises of the operator’s services in the West Midlands, Redditch and Kidderminster areas between May and September 2017. His initial results suggested that some 21% of more than 1,440 services monitored were operated outside the 1 minute early to 5 minutes late window or were not operated at all. The operator was then called back to a public inquiry to discuss these punctuality issues further. The public inquiry was due to take place in Kidderminster on 21 June 2018. In advance of this, and after the TC received information from the operator which questioned some of the DVSA report’s conclusions, a meeting took place which saw discussion of possible monitoring errors and the operator’s reasonable excuses, with a view to arriving at an agreed non-compliance figure if possible. The result was that the overall non-compliance figure accepted by DVSA was reduced from 21% to 11% of the 1,443 services observed (although 15% of services in the Kidderminster area). The TC commented: “I am not making any adverse findings about the repute of the company or Transport Manager Robert Baker. It is clear, however, that these efforts have not yet fed through to produce services of a reliability (in some areas at least) which passengers have the right to expect.